From service to installation to design and construction, we’ve got you covered! We have over 30 years of experience providing high-quality heating and cooling design, installation and repair services. Lamphear Service Company provides professional heating, ventilation, air conditioning and refrigeration services. From filters and thermostats to all heating and cooling parts, Lamphear Service Company can find and install what you need with minimum downtime. Serving Grand Rapids and West Michigan with 24-hour emergency heating and cooling services. We are highly skilled, trained & qualified! Here are some more of our services! We are a participating contractor with Consumers Energy and DTE rebate programs! We offer rebates for air conditioner inspections, furnace inspections, and installations for all qualifying customers. We monitor heating and cooling equipment and investigate energy loss to ensure that your equipment continues to run at peak performance and maximum efficiency. Want to be prepared for the upcoming season? We offer annual AC inspections in the spring and furnace inspections in the fall for residential customers. We also offer seasonal Preventative Maintenance plans for commercial customers. At home or at work, we will keep your heating and cooling equipment running at optimal performance and efficiency! Looking to install a new HVAC system in your home or business? We can help! Our team of experts offers high quality design and installation. 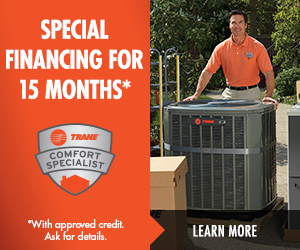 Looking to upgrade your heating and cooling equipment? We offer free estimates! During an estimate we will visit your home or business, determine what equipment would work best for you and give you a quote for the cost of installation. Calling all construction companies! We have many years of experience installing HVAC systems for new construction as well as for remodels. Our technicians are highly skilled and trained in this area of expertise. We would love to help you take on your next project!